Exercising on a regular basis has a huge number of benefits for all body systems, including your bones. Many times, these benefits manifest immediately after you begin an exercise program. Unfortunately, the reverse is also true. 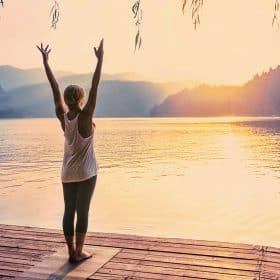 When you stop exercising, a phenomenon called “detraining” occurs, where your body begins to lose the positive effects of exercise – sometimes very rapidly. But there’s good news. Taking up regular exercise again (or taking it up for the first time) can bring the bone and whole-body benefits right back. So today, we’ll take a look at five things that happen if you have “fallen off the wagon” or if you’re not exercising at all. Few things make you feel more “out of shape” than getting winded early in your workout or worse, when you simply walk. This is a sign that the mitochondria in your muscle cells are not as plentiful as they were when you were exercising regularly, and it is vitally important for several reasons. Mitochondria act as your cells’ organs, essentially. Called organelles, these tiny structures produce energy by breaking down carbohydrates and fatty acids and turning them into a substance that can be utilized by other cells in the body. This substance is called ATP, or adenosine triphosphate. With the exception of red blood cells, mitochondria are found in every cell in the body, including your bone cells. Also, all the cells in your body use the energy provided by ATP to run every system, from the beating of your heart to the exchange of gases in your lungs. In fact, ATP is essential to all life. Muscle cells contain the most mitochondria of any cell, because so much ATP is required for exercise and motion. In a process called “mitochondrial biogenesis,” mitochondria increase in number in response to exercise. This enables your muscle cells to produce more ATP, and enhances their take-up of glucose before and after exercise. So it’s a bit of a “use them or lose them” scenario when it comes to these life-giving organelles. Chronic lack of exercise and aging both contribute to a decline in mitochondria, leading to cell death. But as you might expect, regular exercise has the opposite, life-giving, bone-building effect. After all, mitochondria are also found in bone cells, and the action of healthy muscle on bone stimulates bone strength and renewal. Running and walking are both excellent forms of weight-bearing, aerobic exercise that can get your mitochondria numbers up and keep you from getting winded so easily in the future. Remarkably, your blood pressure responds to your activity levels instantly – it’s actually lower on the days you exercise and higher on the days when you don’t. Researchers looked more deeply into this correlation when they studied the effects of exercise for six months followed by two weeks of “detraining” on the same group of participants. Maintaining healthy blood pressure is actually essential to the health of your bones, because high blood pressure can damage your kidneys. Functional kidneys are necessary for maintaining the alkaline/acid balance in your body and for detoxifying your system. If your kidneys are not in top shape, it becomes more difficult to balance your blood pH, which can lead to bone loss, as calcium and other alkalizing minerals are pulled from bone to neutralize the acidic environment. And if toxins build, this also damages bone. This has a profound effect on your bone health. One of the keys to building bone density through exercise is the action of healthy, strong muscle on bone. Atrophied muscles, of course, cannot exert enough pressure on bone to stimulate growth. Maintaining muscle mass is so crucial to bone health, that the pH- balanced diet, as described in the Osteoporosis Reversal Program, actually promotes healthy muscles. The opposite, researchers found, is also true. When 384 study subjects 65 years or older ate a diet rich in fruits and vegetables, their muscle mass increased by 2.6 to 3.6 percent. Glycemic control is a balancing act performed by your body every day. After eating, your blood sugar rises and then falls as your cells utilize the glucose. If you’re sedentary for three days or more, though, your blood sugar spikes and stays high long after you eat, according to a 2012 study. Young, healthy volunteers had their blood glucose monitored for a two-part study. In the first phase, the volunteers ate and exercised as usual. For three days, the glucose monitors showed no blood sugar spikes after meals. However, during Phase 2 of the study, participants cut back on their activity levels in many small but significant ways (they had their meals delivered, for example, or took the elevator instead of the stairs). Participants also stopped their regular exercise routines. This sheds light not only on the effect of inactivity on the development of Type II diabetes; it also shows yet another way that lack of exercise harms bones. Sugar is very damaging to bones, and high levels in the blood can have deleterious effects on bone density. Sugar decreases levels of key bone-building minerals such as copper, calcium, and magnesium. It also negatively affects the immune and nervous systems. 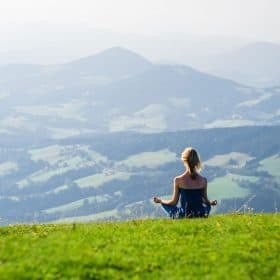 Given the well-known positive effects of exercise on mood, it stands to reason that a lack of exercise would have the opposite effect. Fatigue and negative feelings increase when activity decreases, while exercise keeps energy levels up and reduces depression-causing stress. Reducing stress is actually a key component in maintaining bone health, and regular exercise is an excellent way to do that. Stress can, in fact, have a profound impact on your bones in multiple ways. For example, stress induces sugar cravings, and as we’ve just seen, sugar hurts your bones. In addition, stress increases cortisol, can induce exhaustion and cause back pain, weight gain, poor memory, and even hair loss. The evidence is clear: to obtain optimal quality of life, regular exercise is vital. Exercise affects all body systems for the better – boosting mood, regulating blood pressure and blood sugar, increasing muscle mass, and preventing fractures. There’s just no substitute for regular workouts. 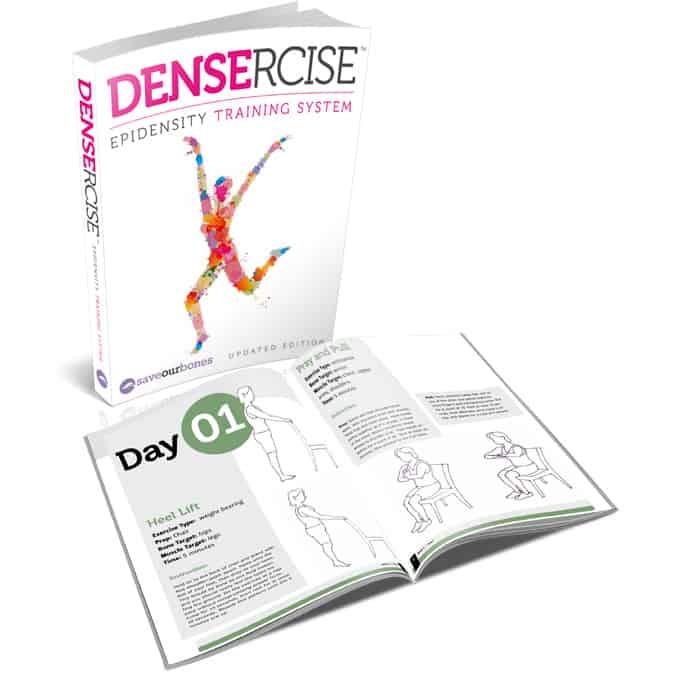 The Densercise™ Epidensity Training System is a program designed to keep you moving and to build your bones. The variety and simplicity help keep you motivated, and the moves themselves are challenging enough to build your bones and strengthen your muscles. Densercise™ does not require any special equipment and is appropriate for all fitness levels and ages. It’s really quite amazing…something as simple as exercise can make all the difference for your health and your bones. It’s my hope that if you’re not exercising now, today’s post will inspire and motivate you to get started. Hi Vivian, once again thanks so much for all your research. I actually go to the gym four days x week, & try to walk twice x week – so I am fine in the exercise area. However, I work so hard in my kitchen, because I like to make all my own food & snacks & right now I have sore wrists, fingers & a ganglein on my hand. What is this arthritis? I am over-doing the kitchen bit & all my washing up! I have also been taking an anti-depressant for ten years – but I am now coming off it slowly, & on the days when I don’t take the anti-depressant, my pains come out – apparently, the type of anti-depressant I take has a pain killer linked to it. The name of the pill is cymbalta. I was taking 60mg., but I am down to 30mg., four x week! So I am pleased about the reduction of the pill, but not the pain – although I think it is better to know what you are dealing with! Doing exercises with a partner keeps you motivated and makes it enjoyable too.. Yes, Marc – having a partner or group can make for a fun exercise session! I wanted to follow comments on 5 May, can anyone tell me how to find them please. Could it be this page, Janet? Egg shells being 90% calcium, has anyone tried the recommendation of pulverizing them and adding the powder to 3 liters of water and putting that in refrigerator, waiting for a a week to dissolve the shells, adding a little lemon juice and drinking 2-3 glasses every day. I read it in a health magazine…..wondering if this is true? Hi Mary Kay, I read that article too, but have not tried it. However after Vivian’s comments I don’t think that I will. Egg shells are inorganic calcium (mostly calcium carbonate). Thank you very much for an encouraging e-mail. I am just wondering, will the Osteoporosis Reversal Program work for someone like me who also has hypothyroidism and has been taking 50MCG of Eltroxin TA daily for the past 5 years? I will be turning a young (or so I thought) 62 years old in August and my latest bone density scan shows osteoporosis in the hips and severe osteopenia in the lumbar spine, which is all very disturbing to me, as I’ve always been a great milk drinker and never thought I’d have problems with my bones. I was on the verge of starting biphosphonate therapy this week, but since reading about your research online, have decided against it. I’d love to start your program, if it will suit my situation. Any advice from you will be very helpful. Thank you for your reply, Vivian. It’s good to know that it’s alright for me to try the Osteoporosis Reversal Program. Have already bought the Dencercise Program.